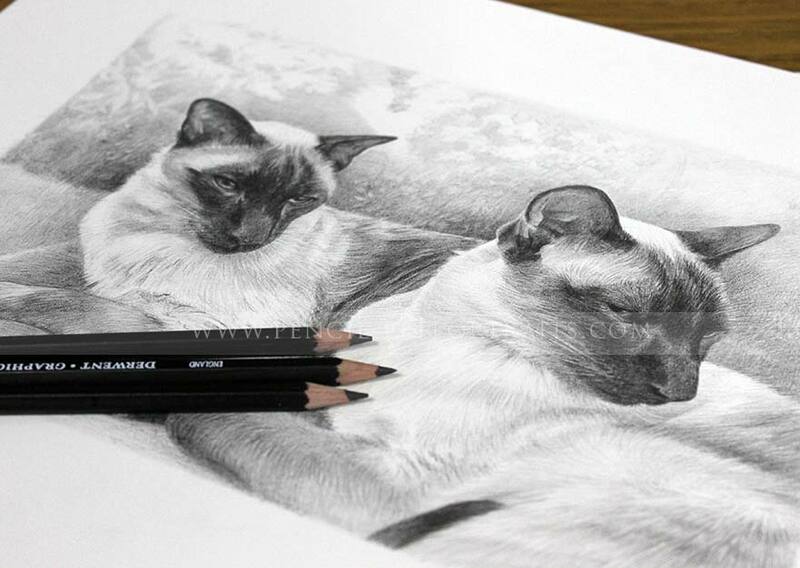 Nancy Miller contacted me in 2014 to ask if I had created any Siamese cat pet portraits in my career as a pet portrait artist. 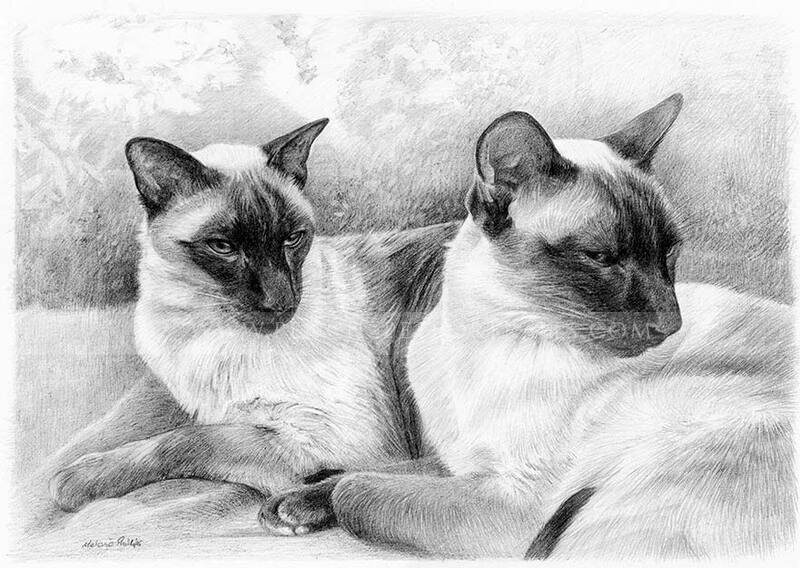 In actual fact when i was at college as a student I stayed with a lovely lady who looked after me while i was studying on my foundation course and she has a Siamese cat called Flora and a fantastic Cocker Spaniel called Charles. Flora was fabulous and i use to sketch both flora and Charles when i was there. Charles was also quite partial to my unwanted toast at breakfast time...but don't tell anyone!! 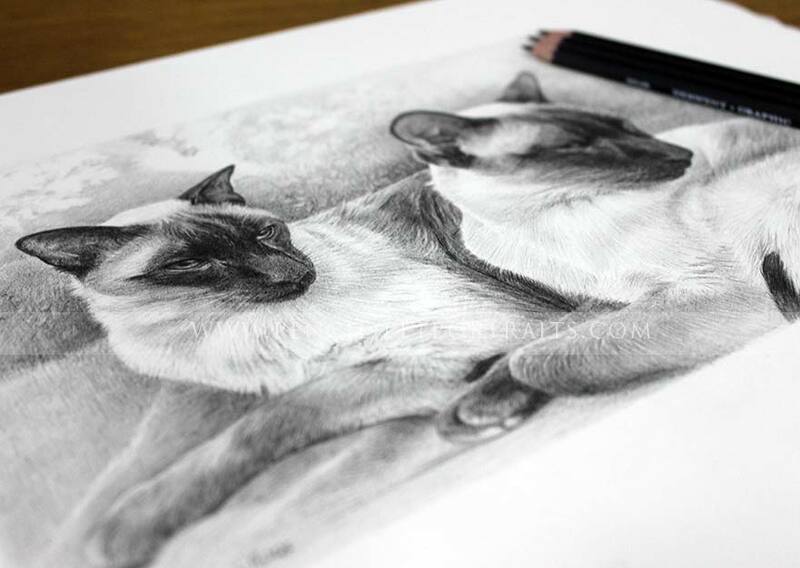 Nancy was very happy for me to draw her Siamese cats Tai and Chi and wanted to surprise her daughter with the cat portrait at Christmas 2014. Nancy's daughter was studying away from home in Berkeley San Francisco so wanted this to be a wonderful surprise as she missed both Tai and Chi greatly while she was away studying. 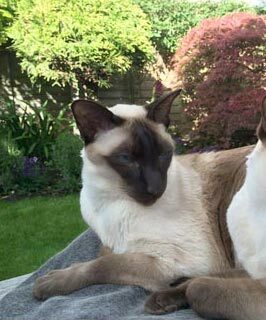 Nancy emailed a number of lovely photos of Tai and Chi including one of them sitting in the sunshine in the garden. 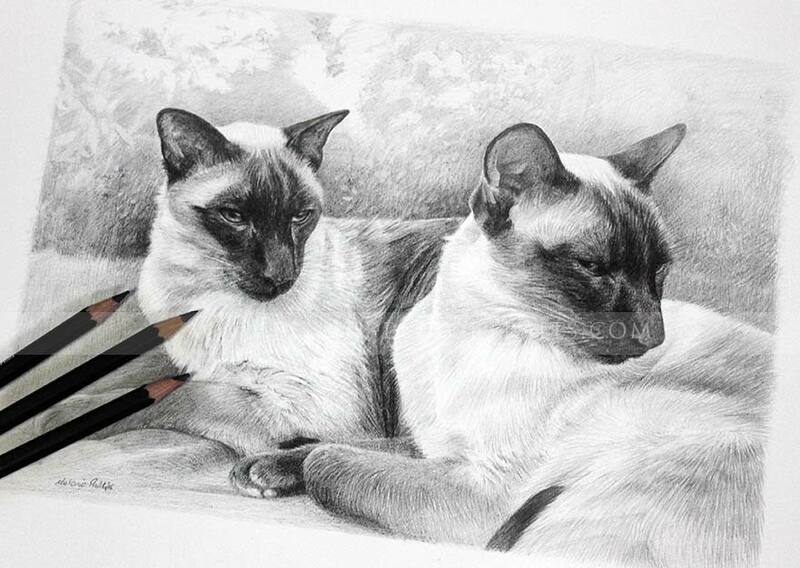 This was perfect for a portrait and Nancy opted for the 14 x 10 bespoke size for the drawing. As you can see from the final scan above the drawing came out beautifully. Nancy and her family were thrilled. You can see a number of emails Nancy sent during and after the process along with the reference photos and some of the portrait taken on our plan chest along with the pencils I used while working on Tai and Chi to show scale. They look wonderful! My daughter will be so pleased. The picture is traveling to San Francisco (Berkeley) where she is at uni.